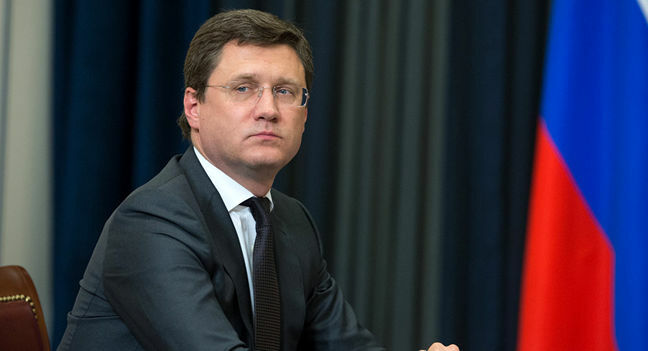 EghtesadOnline: OPEC coalition decisions on further global oil market cooperation will be taken next week amid uncertainty over many factors impacting the industry, including Iranian crude export volumes, but Russian oil producers are ready to adjust their production accordingly, energy minister Alexander Novak said. "We do not know exactly what is happening with Iranian exports. Only they and their customers have this information. Data does not come out every day, there is a slight delay, so we will only see information about November in the middle of December." Novak said, S&P Global Platts reported. He added that decisions will be taken based on analysis carried out by the joint technical committee, with independent sources due to release their figures after next week's meetings. When asked how a 1 million-1.4 million bpd cut could be distributed among participants if agreed, Novak said it was too early to comment, according to Financial Tribune. "If a decision on such volumes is reached, then how to divide quotas will be set at the ministerial meeting," he said. He added that Russian companies remain committed to cooperating with the coalition's decisions. "Everyone agrees that now it is too early to take any decisions on the deal's parameters in 2019. On the other hand, the companies said that they are ready, if necessary, to adjust their crude output volumes," Novak said. Russia's crude output declined in November and in the first 27 days of the month stood at around 40,000 bpd below October levels, he said. "There should not be any sharp fluctuations. On average output will stay at around the October level until the end of the year," he added.